Flatbush is a neighborhood in central Brooklyn. It is geographically enormous and includes wide range of diversities, especially cultural diversity. The neighborhood is home to different ethnicities – Caribbean, Pakistani, Indian, Jewish and Asian population. Furthermore, Flatbush is one of the most economically and socially diverse neighborhoods in Brooklyn. 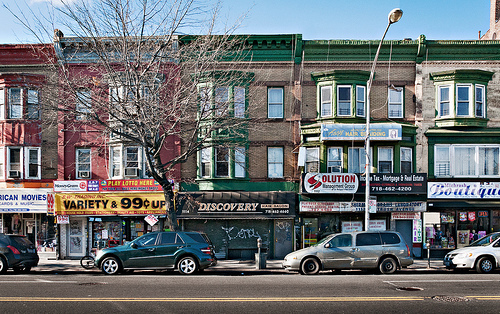 People are usually moving to Flatbush looking for some cheaper housing options. Rental prices are more affordable in Flatbush than in many other Manhattan or Brooklyn neighborhoods. For the same amount of money you can get more spacious apartment in Flatbush than in Park Slope. Dumbo moving and storage movers have performed a lot of moves in the area lately. Dumbo’s customers are generally attracted by an outstanding, friendly, community spirit that makes newcomers feel comfortable once they move in. Since the crime rate has been decreasing during the last few years, this neighborhood is considered suitable for raising a family. Moving to Flatbush will allow you a lot of amenities like proximity to the park and personal driveways. As a result, some of the streets (like Flatbush Avenue) are pretty congested. Also, due to the proximity to the Brooklyn College a lot of students are moving to Flatbush, which is one of the reasons why Flatbush movers‘ customers are exactly students and young couples with children. Flatbush is getting even more popular thanks to various housing options and friendly community vibe. In addition to that, affordable moving services make the transition much easier for you. Do-it-yourself moving is feasible, but hiring professional movers can save you a lot of troubles. Experts will know perfectly how to handle your belongings. Furthermore, you may be interested in some additional services offered by movers, like packing, unpacking, installing appliances,…That being said, it is clear that movers can make your move less stressful and exhausting for you and your family.